Internationally known Chef Grant MacPherson will be a featured chef with Jade at this year’s Hawaii’s Food & Wine Festival. 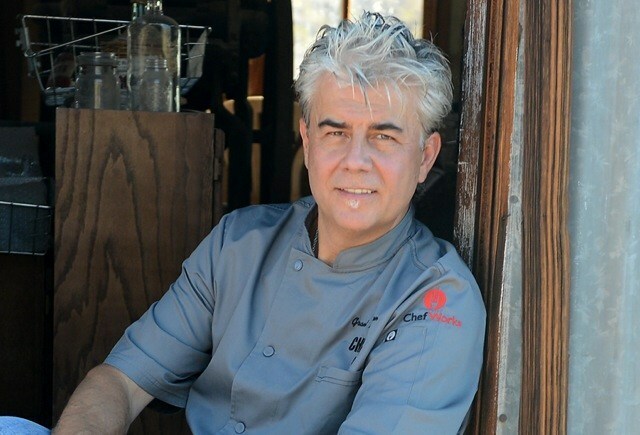 He will cook at the Corks & Forks event presented by Hawaiian Airlines on Saturday, September 6, 2014. The event will feature 20 celebrity chefs and 20 of Napa Valley’s Top Wine Estates. Last year, MacPherson cooked his famous Wild Boar Scotch egg. At this year’s festival, he’ll treat clients to a seared Kahua Ranch lamb burger with pickled red beets and Big Island goat cheese. MacPherson migrated to Australia in the late 1980s and it was always a dream of his to work in Hawaii. That dream was fulfilled when he was hired to be part of the opening team at the Ritz-Carlton on the Big Island as the Dining Room Chef in 1990. He returned in 1999 to work alongside one of his mentors Chef Philippe Padovani. He now lives in Vegas but returns each year for a small vacation. Recently, Grant has been cooking and travelling aboard HawaiiYachts.com with Global Ocean Club in the south of France and Italy. “Coming to Hawaii is very magical for me because of the time I’ve spent here living and working,” said MacPherson. “It’s an honor to come back as a guest of Roy Yamaguchi and Alan Wong and to be working with my good buddies Hubert Keller and Dean Fearing from Dallas. It’s starting to become one of the elite food and wine festivals on the globe with chefs and friends from all over the world collaborating together to use Hawaiian products. I’m honored to be a part of this event. A native Scotsman who grew up in Johannesburg, South Africa and Alberta, Canada, MacPherson began his culinary journey in southern Ontario, Canada before it was fashionable. In the restaurant business now for more than 30 years, MacPherson has cooked adventurous five-star food, developing menus, designed and run kitchens, and built top-notch teams at iconic places including Raffles Hotel—the legendary “Grand Old Lady of Singapore;” the opening of Bellagio, Las Vegas; Wynn Las Vegas; Wynn Macau; Regent Hotels in Sydney and Kuala Lumpur; Maxim’s de Paris, Singapore; Four Seasons Hotels in Toronto, Vancouver, and London; Ritz Carlton, Big Island of Hawaii; and Sandy Lane Hotel in Barbados, West Indies. MacPherson recently opened his global food and beverage consultancy Scotch Myst in Las Vegas, located upstairs at Granello Bakery. There, he develops, consults, and implements highly customized culinary solutions and services for restaurants and hotels worldwide. In addition to running Scotch Myst, MacPherson keeps a busy calendar touring the globe to cook at a wide variety of culinary events. This entry was posted in Events and tagged festival, hwfw, macpherson. Bookmark the permalink.